Two words, approx 6 letters max. 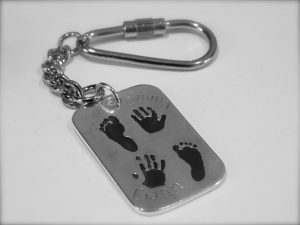 Imagine being able to wear YOUR child’s hand or foot print in a silver dog tag? 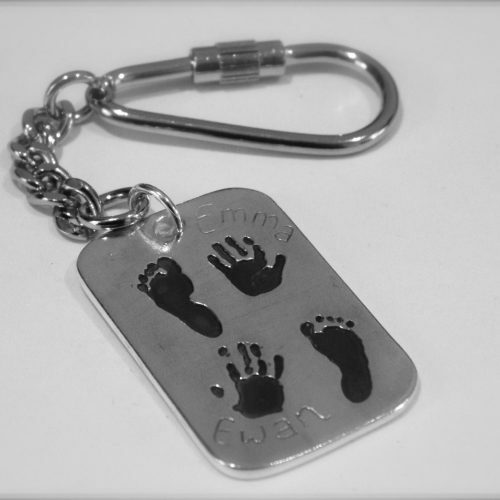 Made uniquely by hand, personalised to YOUR design. Why not treat an Impressive Daddy? Hard working Daddies who miss their little ones? 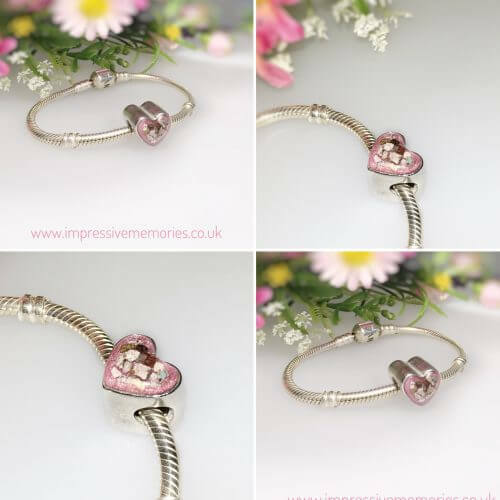 Take a little piece of them with you, wherever you go! Celebrate a first Father’s Day? 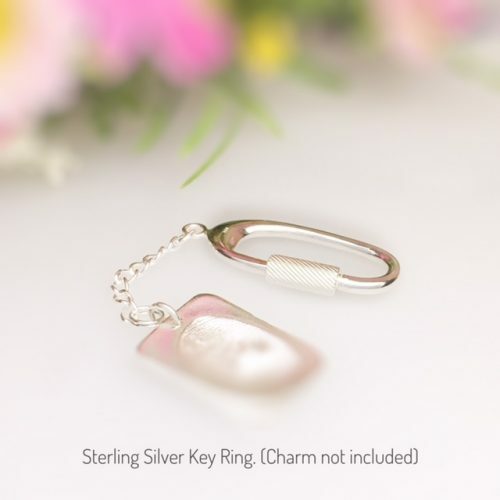 Large charms – Measuring approx 30mm it can have three or even four prints on the front, with a name or initials. 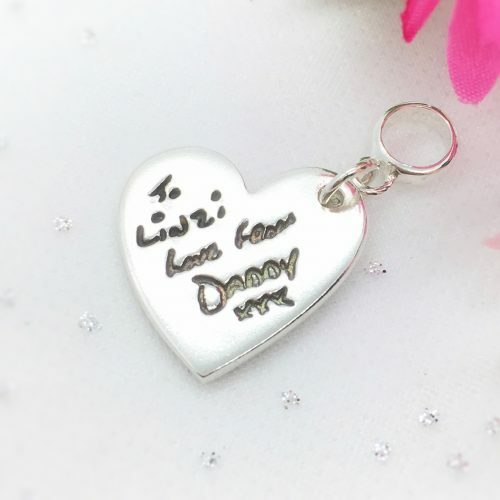 The back can be engraved by hand with a date, date and name or a max of four words (approx 6 digits each).